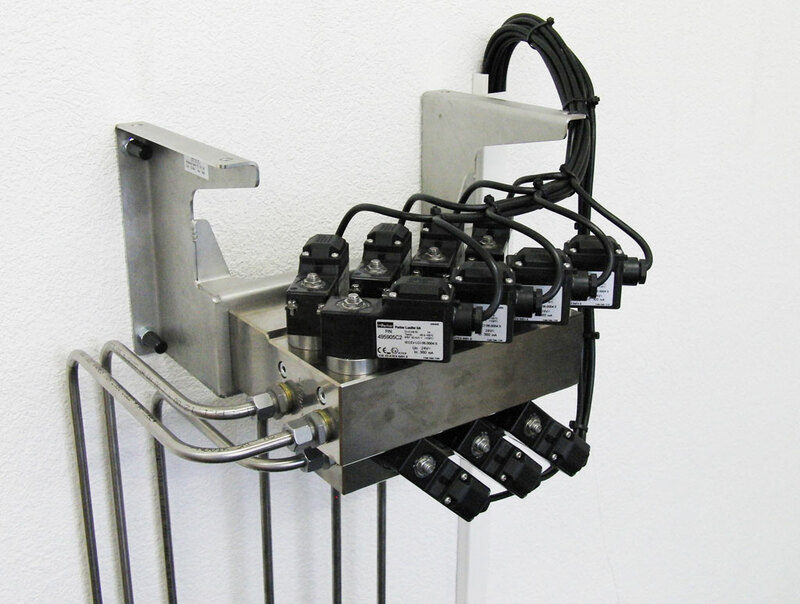 ValEvo valve systems can be integrated in fast-fill CNG fueling stations without using much space. The block construction reduces the time and effort needed to construct, assemble and pipe of such fueling stations. The priority panel block controls the priority for filling the 3-bank storage. If the pressure in the HB is too low to fuel a vehicle completely, the vompressor can directly fill the vehicle without filling up one of the 3 banks at the same time. 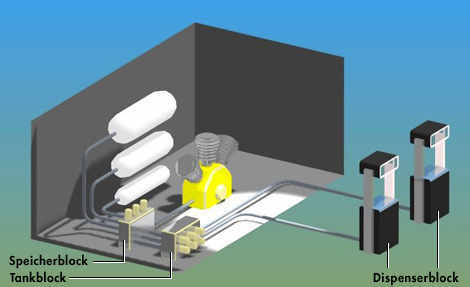 The sequencing block controls the gas flow of the 3-bank storage and forwards the gas to the dispenser. It also controls switching from one bank to the next. 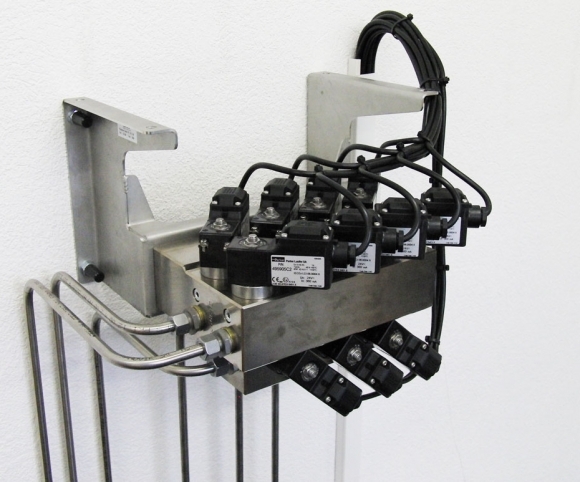 Sequencing blocks are equipped with filters and can be installed either on the facility or directly in the dispenser. 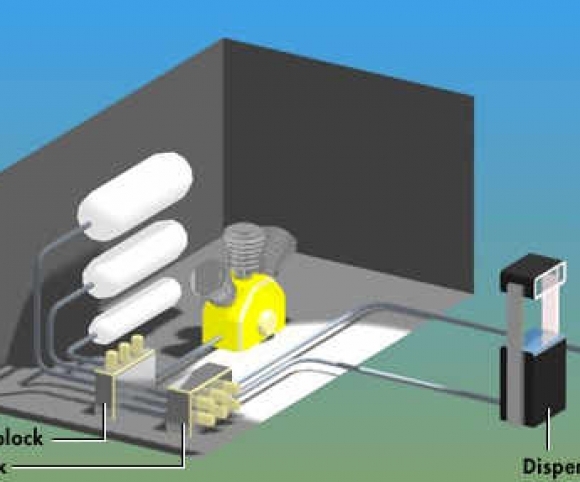 If the sequencing block is not built into the dispenser, close off units in the dispenser are used to start and stop the filling procedure. Dispenser blocks are equipped with filters. The following table shows an overview of our product series with different flow capacities.